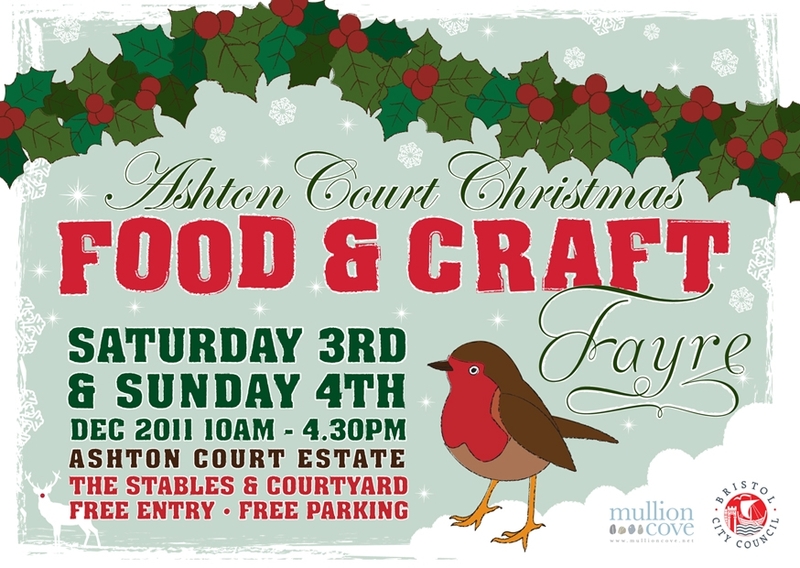 Ashton Court Christmas Food & Craft Fayre: stall application deadline approaching! Hosted by Mullion Cove and Bristol City Council, the two day Ashton Court event will bring together some of the finest local food, drink, arts and crafts within the estate’s stables and courtyard. The event takes place between 10am and 4.30pm on both the Saturday and the Sunday, and promises to be a fun event for all the family. Says Sophie Bowden, Mullion Cove owner and fayre organiser, ‘It seemed like a natural progression after the success of Ashton Court Farmers’ Market that we merge ideas for a dazzling Christmas event at the estate involving food and art. Having the inside space of the stables building as well as the courtyard outside to house a variety of exciting stalls gives customers the chance to buy wonderful and unusual gifts all within the historic surroundings of this stunning estate. If you’re a local food or drink producer, artist or craftsperson, there’s still time to get your application in to host a stall at the event. Craft stall applicants should email Sarah Tyler at sarah.tyler@bristol.gov.uk, while those interested in finding out more about food and drink stalls should contact Sophie Bowden at sophie@mullioncove.net. Applications close on Friday, October 14th, so get in there quick! One Response to Ashton Court Christmas Food & Craft Fayre: stall application deadline approaching!